At LifeAssist, we apply the learning of over 25 years in health risk management – assessment and wellness coaching – combining the expertise of professionals with the methodology of an integrative model of behaviour change. 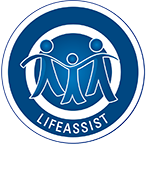 LifeAssist offers a battery of assessments to determine risk on various levels, including onsite testing, which includes Health Risk Assessments and HIV Counselling & Testing. We are confident that we can reach clients through our footprint of affiliated testers, who are certified as per the Government Gazette ordination. Our testers are all comprehensively trained in pre- and post-test counselling as this is a critical opportunity to influence health and lifestyle behaviour. LifeAssist provides a snap shot of the health of your staff, comparing them to national benchmarks in our corporate health report. It is important to motivate as many tests as possible so that meaningful data can be generated. Rest assured that all reporting is done in a manner that maintains the individual confidentiality of participants health status. A key success factor is the follow up and coaching that is available as a core competence of LifeAssist. Our training programmes are designed in consultation with the client. The scope of training is only limited by our field of expertise that spans behavioural science, finance, health and wellness. Modules are available as power hours (stand-alone information sessions), powerful hours (a series of one-hour modules) and full day workshops. Founded on adult learning principles and experience, the training methodology at LifeAssist is to transfer knowledge and skills – mostly through interactive and experiential learning.